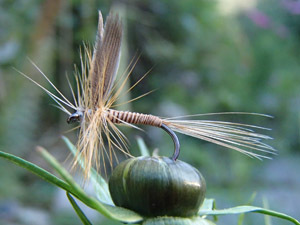 Quill flies were the classic english flies long ago. Further development was done in the eastern US States. What was successful then, is a key to fish even today. 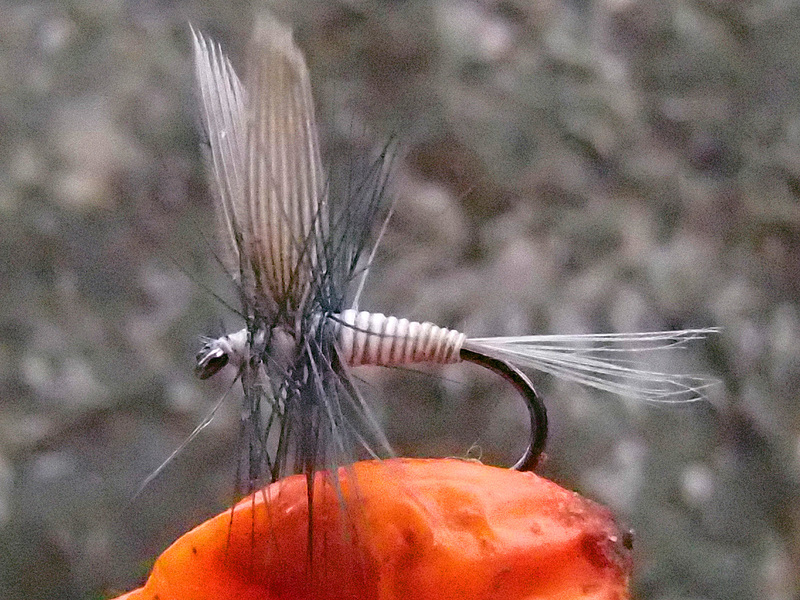 The Quill Gordon is a very old eastern trout fly developed by the famed Theodore Gordon. Does not only catch fish in the US. A wonderful fly, that catches you fish everywhere in the world,anytime. 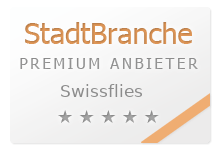 Try it in Switzerland too: - in bigger sizes 14-16 for trout, mainly in late spring and summer or for grayling in autumn sizes 16-18. The Blue Quill is a light colored varaint of the classic Quill flies. Best not only for trout, when light mayflies are over the water but also for grayling.